Waking up in Geelong - Marcus Wong. Gunzel. Engineering geek. History nerd. 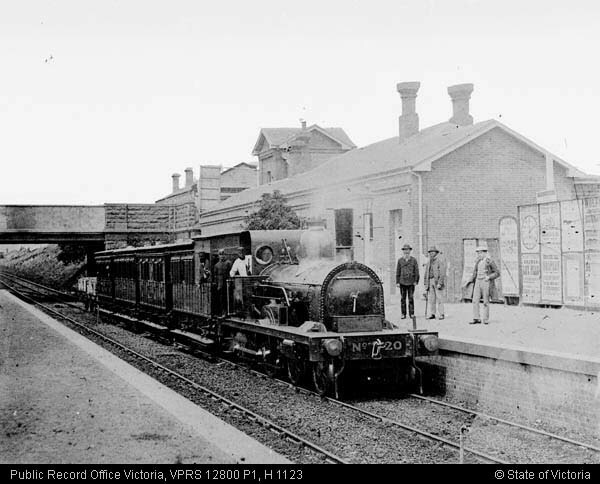 Melbourne’s first trains were short and steam powered, so there bridges didn’t need to be high above the track. But the introduction of electric trains from 1919 saw a need for increased clearances, to accommodate the overhead wires. Many footbridges already crossed the tracks prior to electrification, such this one in Moonee Ponds – constructed in 1890. Ripponlea station – opened in 1912. And Footscray station – rebuilt in 1901. But these tight clearances remained for projects completed post electrification, such as Hawksburn station – rebuilt in 1914. Camberwell – rebuilt in 1919. And Middle Footscray – grade separated in 1928. By the 1970s the clearance between trains and overhead bridges started to grow, with Yarraman station being one example – opened in 1976. But it appears that exceptions were still permitted, such as West Footscray – rebuilt in the same year, 1976. 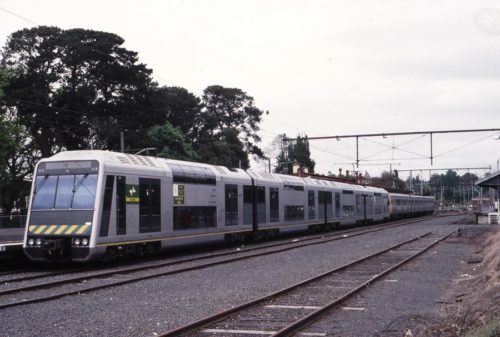 In 1992 Melbourne introduced a trial double deck train – the 4D. 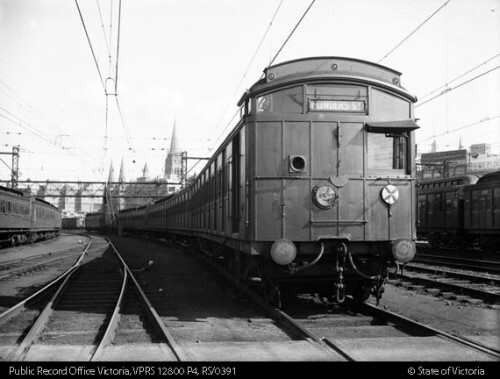 As you might expect, a whole lot of infrastructure changes were required to accommodate a taller train – including the Swanston Street bridge at Flinders Street Station, and numerous overhead bridges along the Belgrave and Lilydale lines. The exception was the City Loop tunnels – designed with double-deck trains in mind, no modifications were necessary. But still the 4D train was shorter than the double deck trains of Sydney – 4270 mm tall, compared to the 4380 mm tall Sydney Tangara train it was based upon. Turns out bolting air conditioning units to the roof of a train really eats up that vertical clearance! Compared with the overhead wiring standards from 1953, only an extra 190 mm clearance is required under bridges – that’s less than one step! So why are such massive bridges being built? Section 9.2 shall apply to any new, or alterations to existing Infrastructure constructed or installed by MTM, or on behalf of MTM or PTV. The minimum Vertical Clearance shall be 5.75m for new bridges or structures above the track. The Vertical Clearance may be reduced subject to the approval of the Chief Engineer, or delegate, following adequate demonstration of requirements in Appendix A – Reduced Vertical Clearance to Structures Requirements. This explains the massive footbridges built in the past decades at rebuilt railway stations – such as Watergardens. 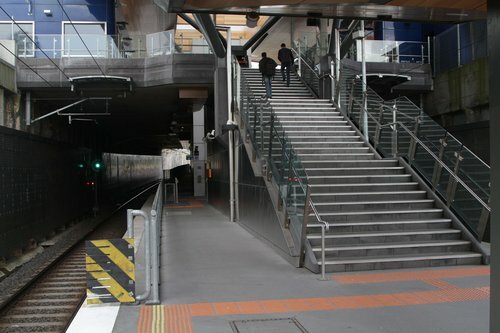 As well as the depth of rail underpasses such as Nunawading. But why are some stations even taller? If the climb out of the above stations seems bad enough, there are stations such as Sunshine where the ascent is even more formidable. On tracks operated or maintained by Accredited Rail Transport Operators (ARTOs) or Rail Infrastructure Managers (RIMs) other than MTM, consideration shall be given to their minimum vertical clearances, particularly on Double Stacked freight corridors. A double stacked freight train is far taller than any Melbourne train. With the only Australian examples running through the ‘outback’ – between Adelaide, Perth, Darwin and Parkes. 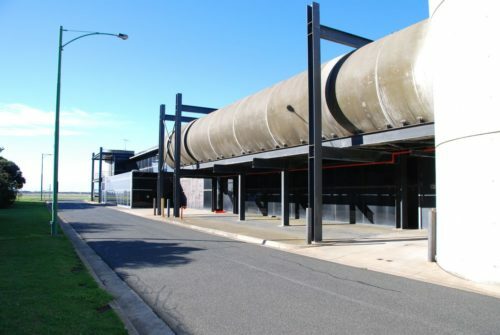 But the capability to run double stack freight trains in Victoria is on the roadmap for the Australian Rail Track Corporation, operator of the interstate freight network in Victoria. 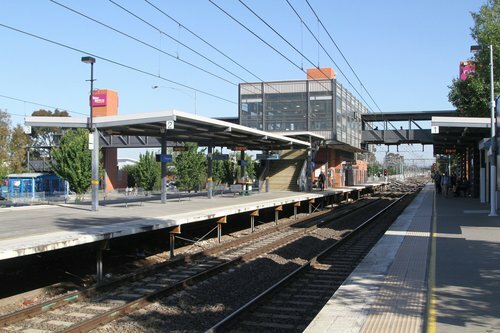 Tottenham to Albury (T2A) is one of 13 projects that complete Inland Rail. This section of Inland Rail is planned along 305km of existing rail corridor from metropolitan Melbourne to the Victoria-NSW border at Albury-Wodonga. This project will see enhancements of existing structures to provide increased clearances along the rail corridor. The enhancement works are required to accommodate double stack freight trains of 1,800 metres in length to be run on the track. 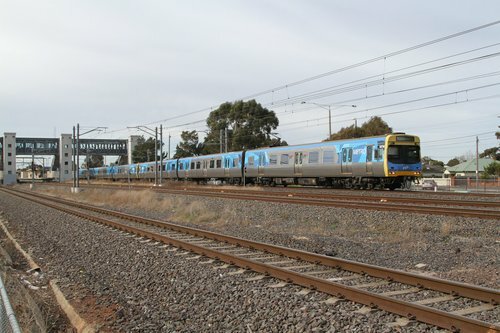 Unless otherwise formally approved by appropriate ARTC Executive General Manager, all new structures over mainlines and passing loops/sidings shall be constructed to give full plate “F” – i.e. this will give 7.1m clearance above rail. In Melbourne the Defined Interstate Rail Network runs west and north-east from the Port of Melbourne, paralleling the following suburban tracks. Which explains the massive footbridges found at West Footscray. As well as the Sunshine example from earlier. Footnote – how long are the ramps? » The nature of the basalt ground conditions, along with anecdotal information regarding ground water and inundation conditions, suggests the use of a footbridge rather than a subway. That 1.35 m of extra vertical clearance really makes a difference to the length of a DDA compliant ramp! 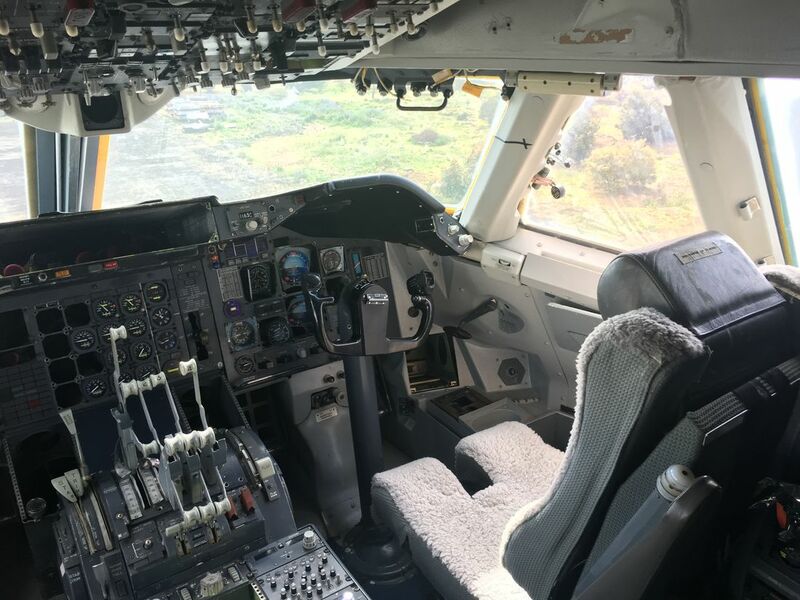 Back in August 2017 Australian indie pop duo Client Liaison released their 1980s themed video clip for “A Foreign Affair”, featuring Tina Arena and a whole swag of references to defunct airline Ansett Australia. So where did they film the clip? The duo arrive into the terminal. Walk up to the check-in counter. 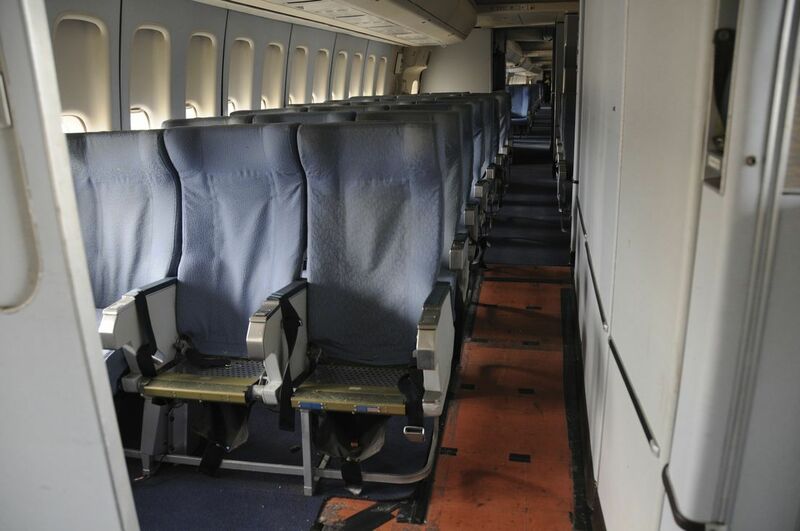 Once onboard, they take their seats in business class. And consult the aircraft safety card, like every conscientious passenger. Back in the economy class cabin, a young child sleeps. They take to their air. Then end back at the terminal. As a couple are reunited. So where did they film it? Was reportedly filmed mostly at AVV. Including using ex-Qantas VH-EBU which is stored at Avalon and currently painted in Avalon Airport livery. 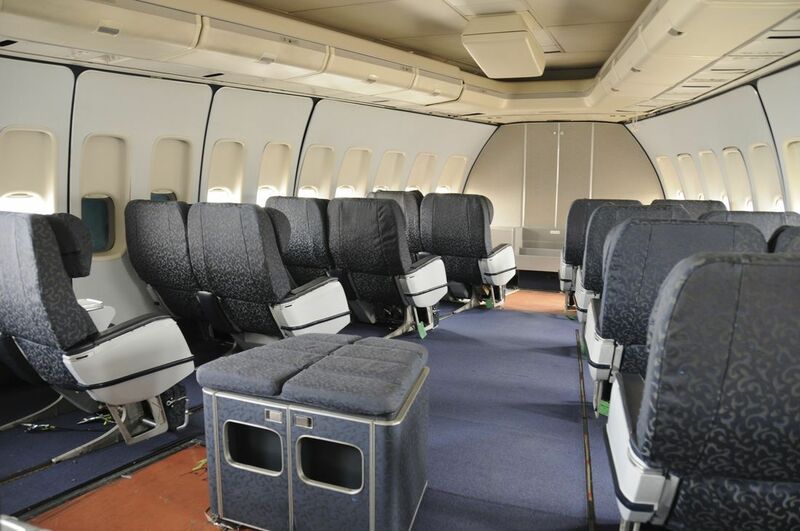 A retired jumbo jet – available for filming inside and out all year round. 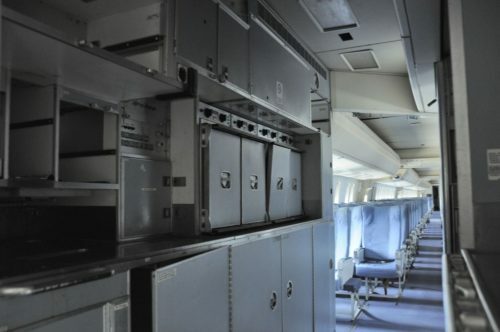 The aircraft interiors in the clip were filmed onboard Qantas 747-300 VH-EBU “Nalanji Dreaming” – stored beside Avalon Airport’s hangar 6. 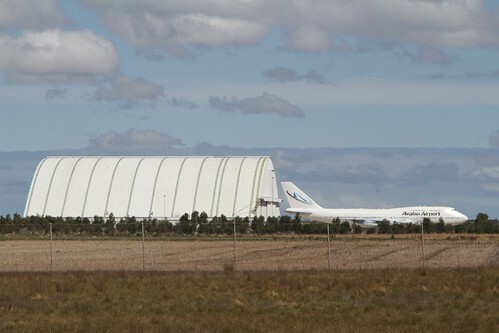 She was put into long term storage at Avalon Airport in 2005 and was used as a parts bin, but has since been repainted. Much of the interior remains, including the cockpit. 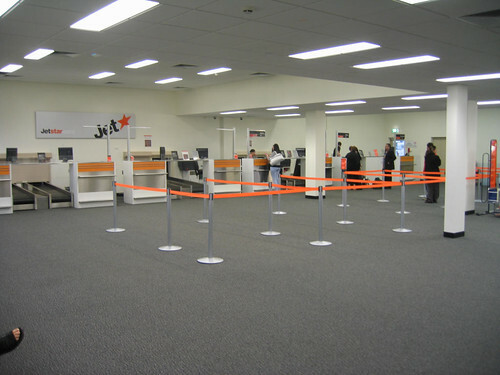 The terminal scenes were filmed at the Jetstar check-in counters. But Avalon Airport doesn’t have any jetbridges – which got me stumped. 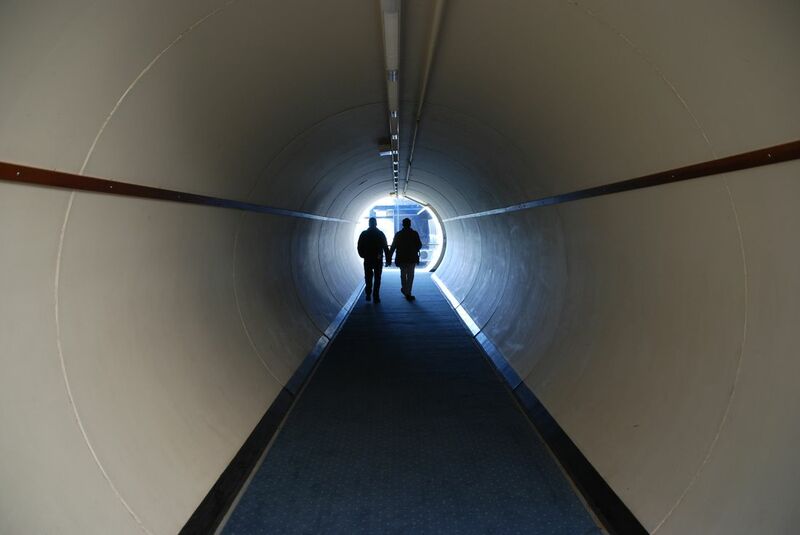 Thankfully the Film Victoria website had this photo of a circular tunnel. But it isn’t a jetbridge – but a hallway. 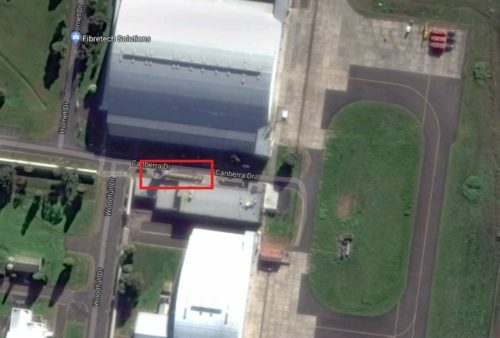 Located nowhere near the terminals, but attached to an office building between hangers 1 and 3. In the background of the video clip an overhead view of an airport at night is presented. It was far too busy looking to be Avalon Airport, so I started doing the rounds of world airport via Google Maps to try an find a match. JFK in New York? No! Ronald Reagan Washington National Airport in Washington? Still no. Turns out it was Newark Liberty International Airport, in New Jersey. And what about the safety card? 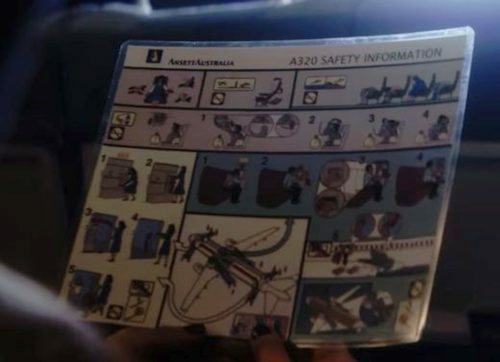 Midway through a video clip, a closeup of a Ansett Australia branded A320 safety information card appears. 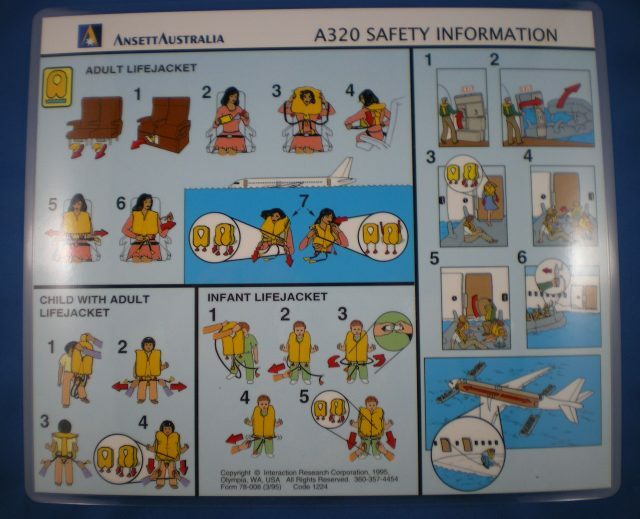 Ansett Australia did operate Airbus A320 jets, but the safety cards looked different. So where did they get their safety card from – an alternate Ansett design, or was their logo just photoshopped in? 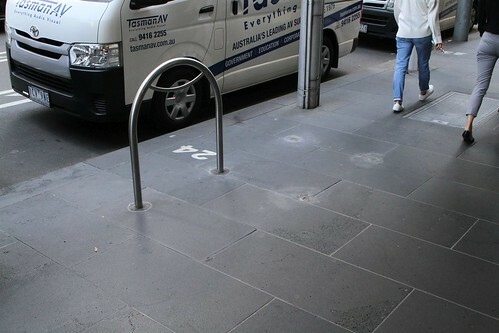 Over the past few years the City of Melbourne has currently installing more bike hoops around the CBD, permitting more cyclists to securely park their bikes. But what happens when one of the hoops is placed in a stupid place? 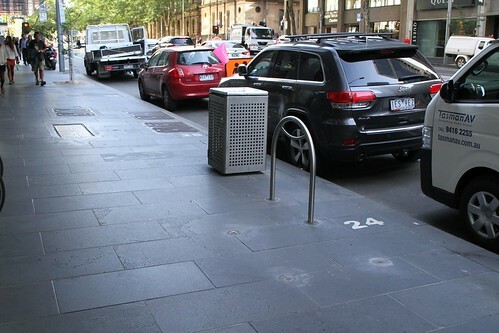 Back on 29 January 2018 I spotted this example near the corner of William and Bourke Streets – a bike rack running 90 degrees to the road and blocking the footpath. 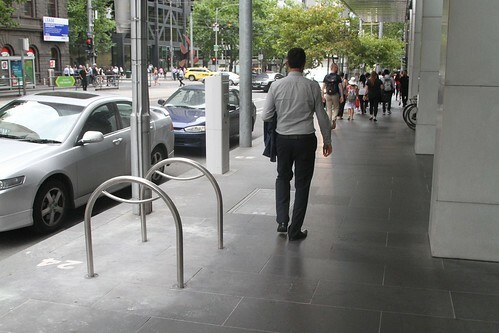 I tweeted about it the next day, and a week later the City of Melbourne entered the discussion – agreeing that they were stupidly placed. 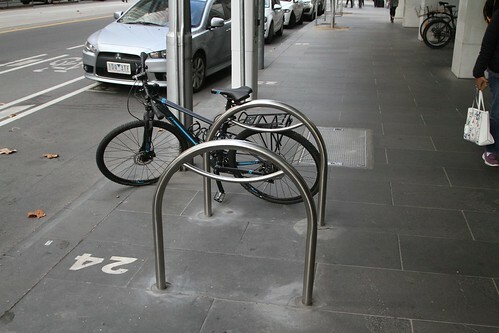 They are part of our target to provide an additional 2000 on-street bicycle parking hoops by 2020. We have arranged for the hoops to be reorientated to 45 degrees so that there will be more space available on the footpath for pedestrians. Presumably cyclists thought the same thing, as the bike hoops were often empty, compared to the hoops across the street. 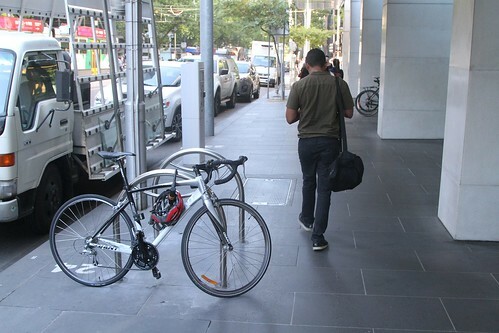 Presumably cyclists didn’t want their valuable bike jutting out into the footpath, ready to be smashed into by passing pedestrians. But some still took the risk. 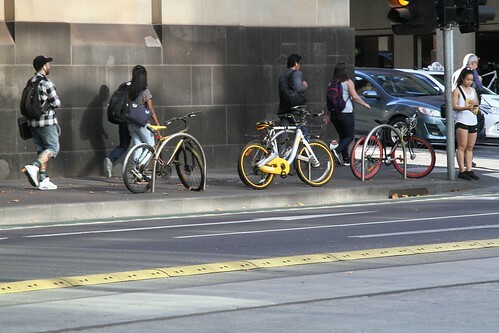 But eventually the City of Melbourne got around to doing what they promised – a year later in February 2019 the bike hoops had been cut off at footpath level, and two new hoops installed parallel to the kerb. Leaving clear space for pedestrians. 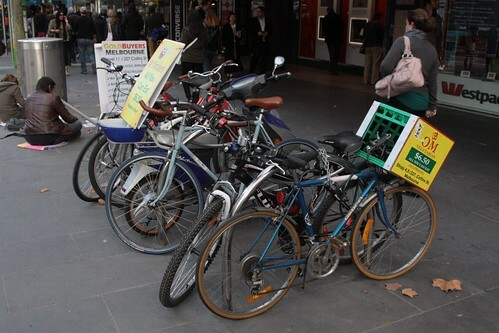 I guess we should count ourselves lucky that these bike hoops were never noticed by business owners – advertising bikes are even worse. 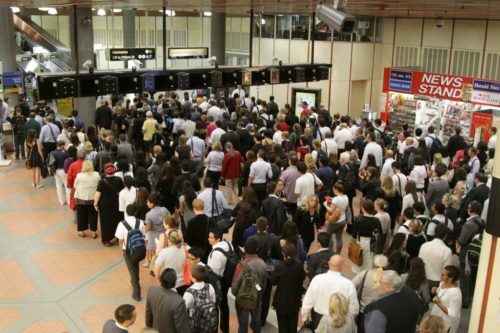 Way back in 2012 I wrote Chronic commuter congestion fills Flagstaff on the ever increasing number of train passengers travelling to the CBD, and the delays caused by them passing through the ticket gates to exit the station. But it appears that this problem is nothing new, as this August 2002 item from Newsrail is anything to go by. 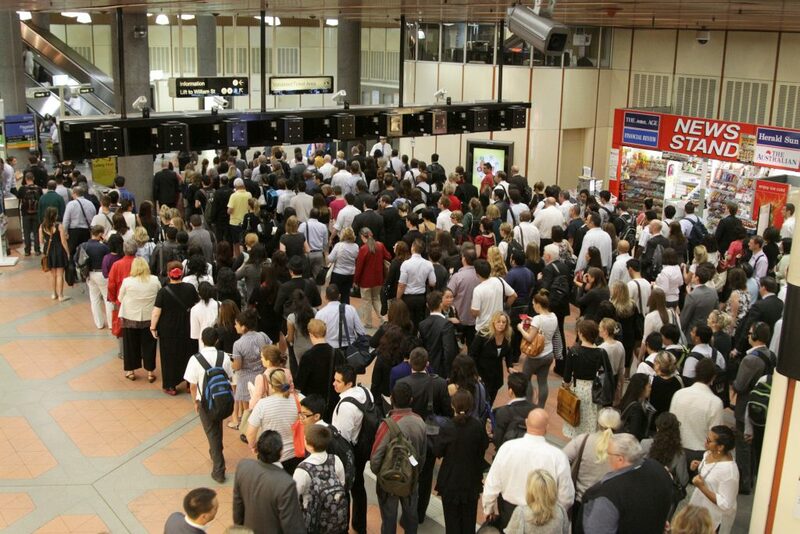 In mid-May four new ticket barriers costing $82,000 were commissioned at Flagstaff station. The new barriers increase the number of controlled exit/entry points at Flagstaff to nine. 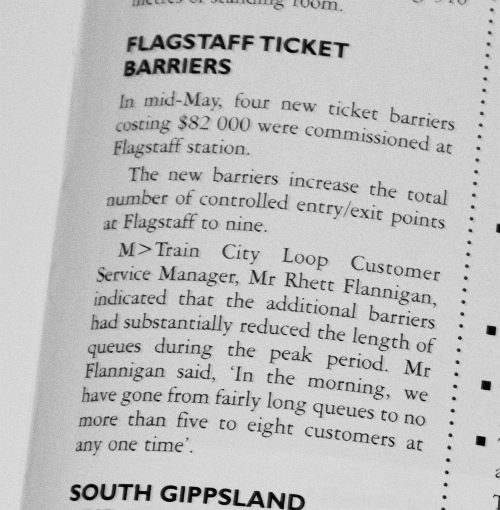 M>Train City Loop Customer Service Manager, Mr Rhett Flannigan, indicated that the additional barriers had substantially reduced the length of queues during the peak period. Mr Flannigan said, “In the morning, we have gone from fairly long queues to no more than five to eight customers at any one time”. With electrification extended to Sydenham (Watergardens) in January 2002, the St.Albans island platform no longer functioned as a terminal. This meant the electronic barrier gates which had previously controlled all passenger movements for suburban trains were now only half utilized. These were relocated during May 2002 to Flagstaff, where they complimented the existing bank of barriers to better handle the increasing traffic through the southerly entry/exit point. As well as listing the other stations that had Metcard ticket gates. 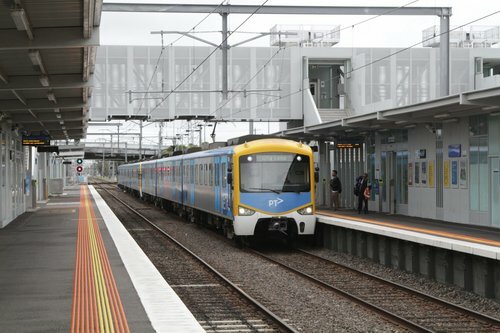 Electronic barriers were ultimately installed at all five city stations as well as Footscray (Centre platform), St Albans, Essendon, Glenferrie, Camberwell, Box Hill, Mitcham (Down platform only), Ringwood, Glen Waverley, South Yarra, Caulfield, Dandenong and Frankston. But the “nine ticket gates” figure has me confused – as of 2011 Flagstaff station had the following arrangement. 1 wide and 2 standard gates to the north. And nine gates to the south – split across one wide and six standard to south-west, one wide and one standard to the south-east. So did the 2002 changes shuffle ticket gates between the two entrances, with three more gates added at a later date – or did the 2002 figure exclude the northern entrance?